The Grundorf Facade Bags make carrying your facade from gig to gig easy! 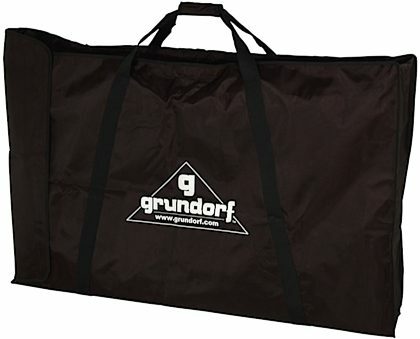 This high-quality, non-padded, easy-care bag accommodates Grundorf facades. zZounds is an authorized dealer of Grundorf products. - Inside Dimensions (H x W x D): 36.5 x 49.0 x 6.5"
- Outside Dimensions (H x W x D): 36.75 x 49.25 x 6.75"
- Inside dimensions (H x W x D): 16.5 x 28.0 x 4.5"
- Outside dimensions (H x W x D): 16.75 x 28.25 x 4.75"
- Inside dimensions (H x W x D): 16.5 x 36.75 x 4.5"
- Outside dimensions (H x W x D): 16.75 x 37.00 x 4.75"
- Inside dimensions (H x W x D): 23.5 x 51.25 x 4.5"
- Outside dimensions (H x W x D): 23.75 x 51.5 x 4.75"